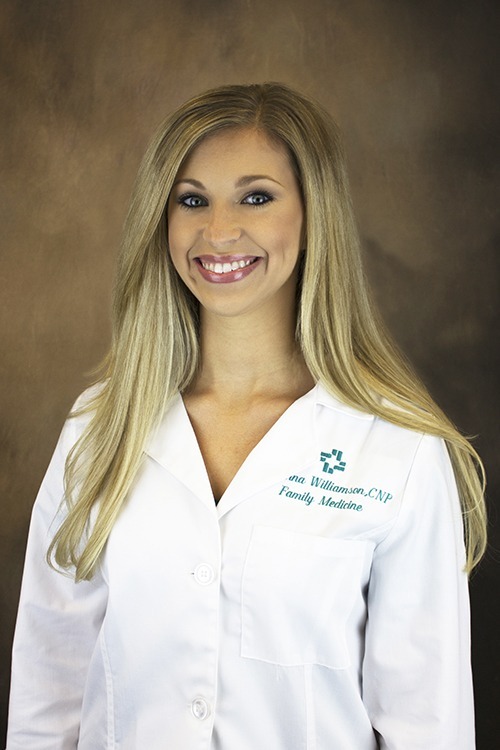 Adrianna G. Williamson, CNP, is a certified nurse practitioner at Hattiesburg Clinic Bellevue Family Medicine. Ms. Williamson has a Master of Science in Nursing from the University of South Alabama in Mobile, Ala., and a Bachelor of Science in Nursing from William Carey University in Hattiesburg, Miss. She is board certified by the American Academy of Nurse Practitioners and is a member of the American Association of Nurse Practitioners. At Bellevue Family Medicine, Ms. Williamson evaluates and cares for the overall health needs of each patient.